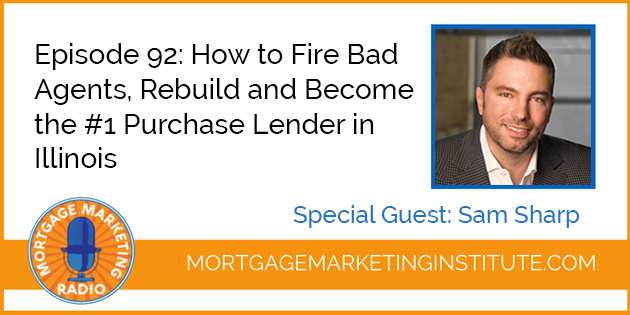 My guest this week is Sam Sharp; EVP of National Sales with Guaranteed Rate out of Chicago. Every single month Sam closes over 50 transactions. I believe last month it was 59 transactions. He is the only originator on his team. He does have a support team but originates 100% of his loans. We’ll talk a little bit about scaling to build a team. Back in 2008 during the mortgage meltdown, Sam still did $82 Million in closed loans. What he realized was that if we going to truly build a business he enjoyed, he would have to start over. So he fired a majority of agents that he worked with because they didn’t appreciate the value proposition that he was bringing to the table. Sam set a 12 month goal to meet an Agent a day for 365 days. When he got to number forty eight he was already so busy he had to stop because he had so much business coming in. 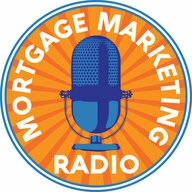 His goal now is to get to 100 closed purchase loans per month. So we’re going to talk about Agents being a primary source of his business. This is a a coaching session on how to build a strong referral base largely from real estate agents. And I know you’re going to like this episode. 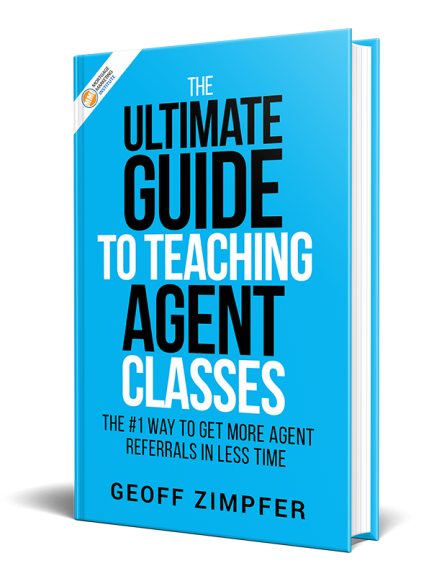 This is a a coaching session on how to build a strong referral base largely from real estate agents. And I know you’re going to like this episode.